This is awesome! I checked out the videos of the progress and holy crap, This has been needed for a long time. I can't wait to see the finished product. This looks like great work. Maybe I'll finally finish this game once your hack is done. One question: Are you only doing a GBC color hack, or do you intend to add color support for Super Game Boy too? SGB is my preferred way to play early Game Boy games—but I get that most people aren't playing these hacks on real hardware and the SGB's ability to do color is much more limited, so there isn't going to be as much interest. Maybe I'll take the game on a trip at some point and play it in full color on my GBA SP. Yeah, I'm not planning on doing it for SGB for exactly those reasons. CGB is simply a more advanced system capable of producing much better colorizations. Forgive my boldness and intrusiveness, but I was wondering if you are perhaps aiming towards releasing this hack as an entry in here? And if you are, what goals or things do you want to include before doing so? Yes, I will be releasing it proprly on RH.net when it's done. Before then I need to fix the unhidden tiles, and maybe a few tweaks to things like the visor (we'll see). I'm also debating some large under the hood changes that are unnecessary for EJRTQ but will allow other people to make much more complex color M2 mods by adding support to the game code for larger maps, more graphics tiles, and more complex tilesets and sprites. But before that I'm working on a map image generator to help me exhaustively look for miscolored tiles. But between not having that much time to work on it and the fact that I'm making a virtual machine that's able to traverse the map like in game and detect reachable rooms, metarooms, and tilesets (rather than entering them manually for each room), it's taking some time. It's about time that dinosaur of a romhack got an update. Someone should try to color Alleway too. GBcolorizer doesn't work on my PC otherwise I would have give it a try. Wow, finally a polished Metroid 2 colorization! And I'm very glad you're working on making hidden corridors actually hidden again. And who knows, maybe this will inspire others to make Metroid 2 colorizations, too. Because, while this hack is very impressive and overall good looking, I'm not quite sold on some of the choices here: using more muted greys and browns is a valid approach, but I'd probably prefer more expressive colors (more purples, blues and reds, like in the NES game). I also think that some of enemies and floor-tiles are a bit too dark, lacking contrast compared to the black background. Even Samus is a tad to dark for my taste, though it admittedly looks cool and adds to the visor a having glowing appearance. On the other hand there also seem to be a couple of enemies (like the floating ones) appear oddly bright compared to the rest. Nitpicks aside, thanks for all the hard work! I am so doing a Let's Play as soon as this officially releases. Great work man! Not to mention The Castlevania Games. Sure they had complete versions remade on the Japanese Collections, But no one has done the original 2 games from scratch. The Konami Collections you mean? Those are from Europe iirc, not Japan. Both Castlevania Adventure and Castlevania II: Belmont's Revenge have full-coloured versions of them. Only Castlevania which doesn't have a coloured version is Castlevania Legends, that one really lacks in that regard, but the other 2 are superb. I recommend you get the Konami Collections Vol 1 and 4, and then try the Autoboot hacks for both Castlevanias, so that you can have standalone ROMs of the two. I feel like Kirby's Dream Land would REALLY benefit from a fully coloured hack. Whoever decides to tackle that, you can try grabbing the full remake of it from Super Star Ultra for the colour choices. Has some really nice colour choices which makes it shine over the other ones. I checked those out and they do look awesome. The only thing that differs is I don't think you can compile other patches for the original games on top of the Konami Collection Versions. For example speeding up the character. Also which Emulator runs these Color Hacks the best? The ones I have tried cause glitches in the backgrounds through out the games but when the you tube videos are made they seem flawless. Update - Never mind, I just realized the speed of the game is already considerably faster with out a patch. just realized the speed of the game is already considerably faster with out a patch. hmmm, there are separate other patches that significantly speed up the 3 gb Castlevania games. so they should seem the same speed color or not, until they are patched with the speedhack patch. it works on the autoboot hacks too (i dont remember the order) but i gotta say, the "full colorization" of the 2 Castlevanias that were colorized is super sub par. a lot of the background is just white, and most enemies are still in one shade of colors. the color versions do look better than the vanilla, but they still arent a darling to look at. unlike the official colorization process (Link DX) and the unofficial (torruz's SML2) the Casltevania games did NOT get that good of a treatment. which is my guess as to why the Konami collections didnt come to the USA, i think Nintendo of America seen how haphazard of a color job they got. Contra/Probotector (on the same sets) has the same issue. p.s. i have always said that SML1 and Metroid 2 look good enough with their ancient colorizations, but clearly this will make Metroid 2 look like the bee's knees. I mean the old way looked fime, but i hated the screen glitch/transformation for EVERY door you enter. this will be amazing. 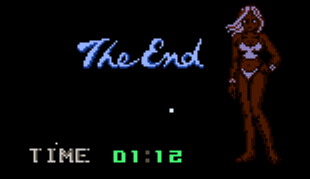 I finally got around to trying out Metroid II and it's incredible. The environment is haunting. Where Samus landed her ship. It's cold and really dark with a feeling of isolation. The colors really brought out the felling of the game. The transitions are perfect, Nice and smooth. Even smoother than the original I believe. This is the 1.3 release candidate. Unless something major is found in the next few days, this will be the final version (at which time it will be posted on the main site). This version re-hides all hidden passages and fixes a few miscolored tiles. As I've been finding it increasingly difficult to find time to work on this and I just spent several weeks making tools for e.g. map image creation, I've decided to hold off on some things until after 1.3. Namely, the major modding-related changes, given how big the list is, and several relatively minor miscolored pixels that require restructuring the tiles (e.g. Samus' visor). It's unfortunate I can't really enjoy this color hack at all with Samus's garbled weapon graphics after you fire a missile. I'm really looking forward to playing a ton of this if you ever get around to fixing. Compare the pixels of Samus's arm cannon to the way it looks in the original game. It should have vertical lines instead of horizontal lines that I see. The graphics get muddled as soon as you activate missiles the first time. I'm using the BGB emulator. If you really don't have the issue let me know what emulator you are using. PS: If you look at the first pic that ShadowOne333 posted--the one with the frog enemy, you will see the muddled arm canon graphics I'm talking about. Compare to the way it should look in the pictures at the top of the thread. It's more or less showing the left-facing version of the cannon even when facing right. I did some testing on the issue and determined that the arm cannon graphics bug out after switching to missiles in exactly the same way as the original game. In order to make sure it wasn't an emulator issue, I tried with multiple emulators and it was exactly the same. I owe you an apology for thinking this was a result of your hack! Would be amazing if someone could fix the underlying issue at some point but I will certainly try to not make it an impediment to enjoying your work Quantam. I already have the thumbnails done up for this hack's Let's Play. Just finishing off some other series i'll i'll get on it. I've had a play around and everything looks amazing! Well done! Most everything else has either been remade or re-released in colour at some stage.